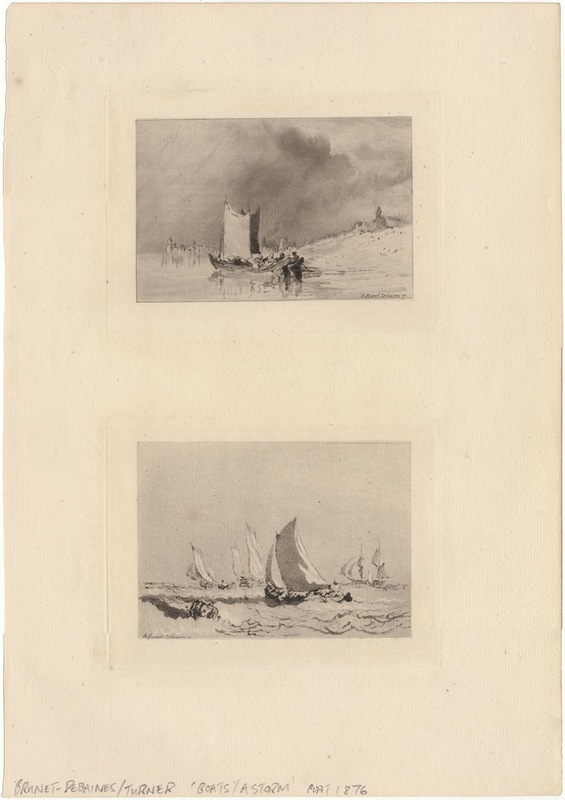 Condition: two crisp impressions in good condition printed on a single sheet of wove paper with margins as published by Hamerton et al. 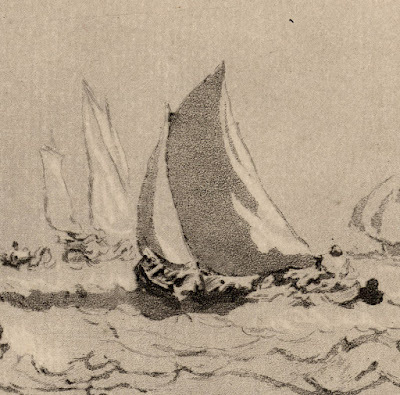 There is faint scattered foxing. 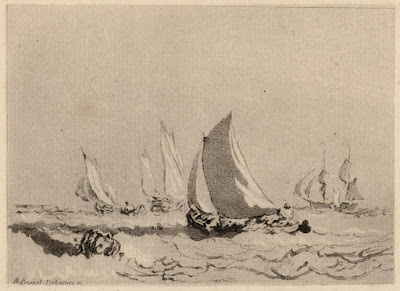 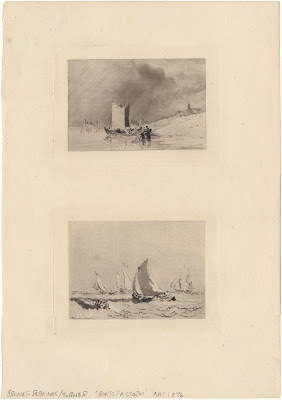 I am selling this pair of nineteenth century etchings after Turner, along with two additional pages of etchings by Debaines that I will be listing further below (i.e. 6 etchings in total) for AU$155 as group purchase (currently US$113.63/EUR100.22/GBP78.99 at the time of posting this listing) including postage and handling to anywhere in the world. 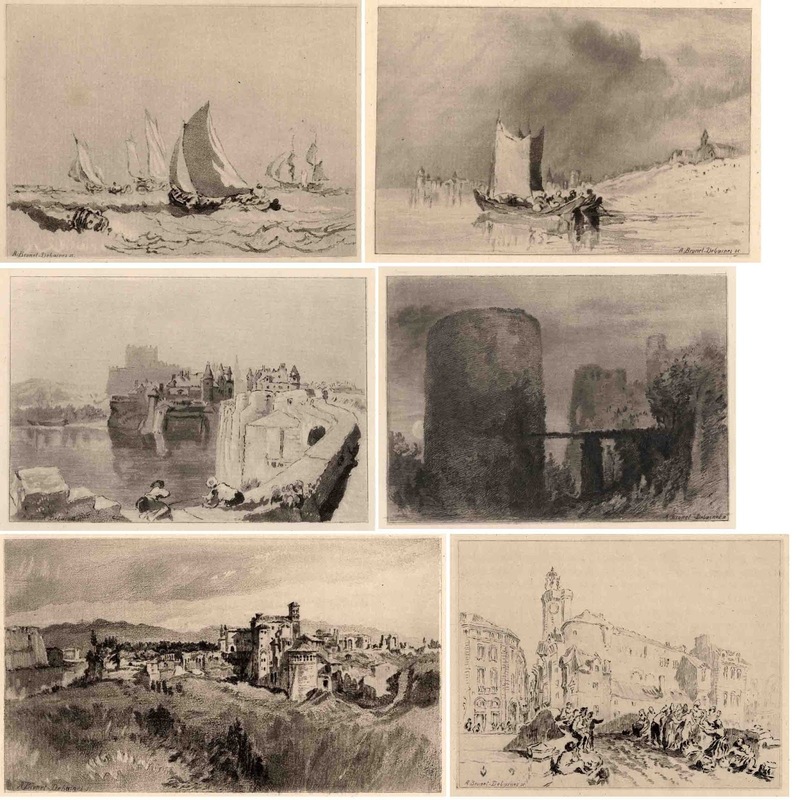 If you are interested in purchasing this folio of etchings, please contact me (oz_jim@printsandprinciples.com) and I will send you a PayPal invoice to make the payment easy. 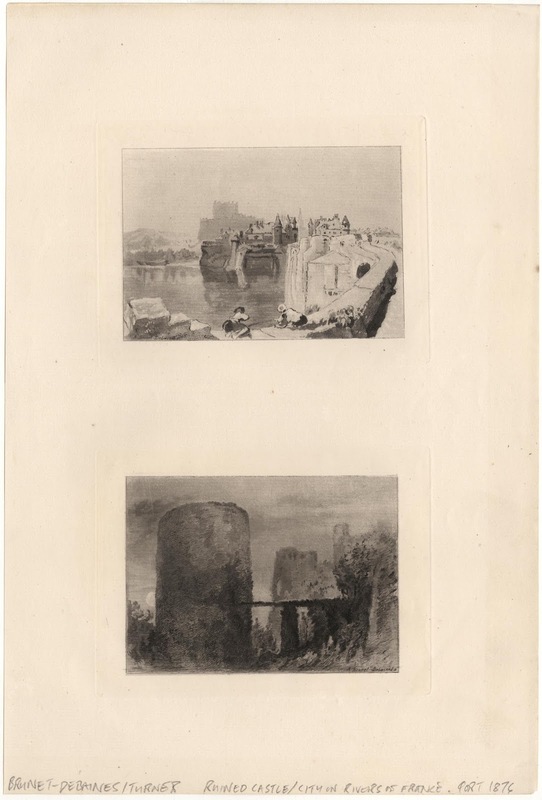 (upper image) "City on Rivers of France"
The lower print is a real peach. It is beautiful. It has everything that a romantic artist loves: a partly obscured moon and an ominously impenetrable ruin in mist. Love it. 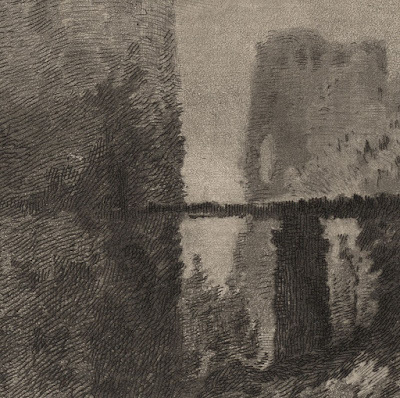 I also love Debaines' treatment of the castle textures that are suggested without too much detail in a manner not too dissimilar to what Piranesi sometimes employs to render details without actually showing details. 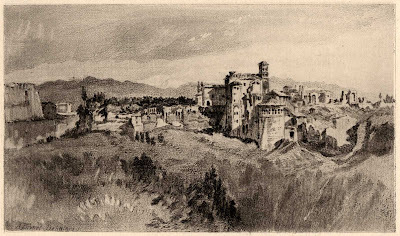 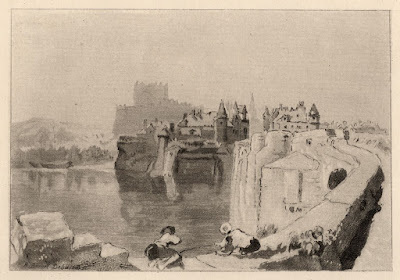 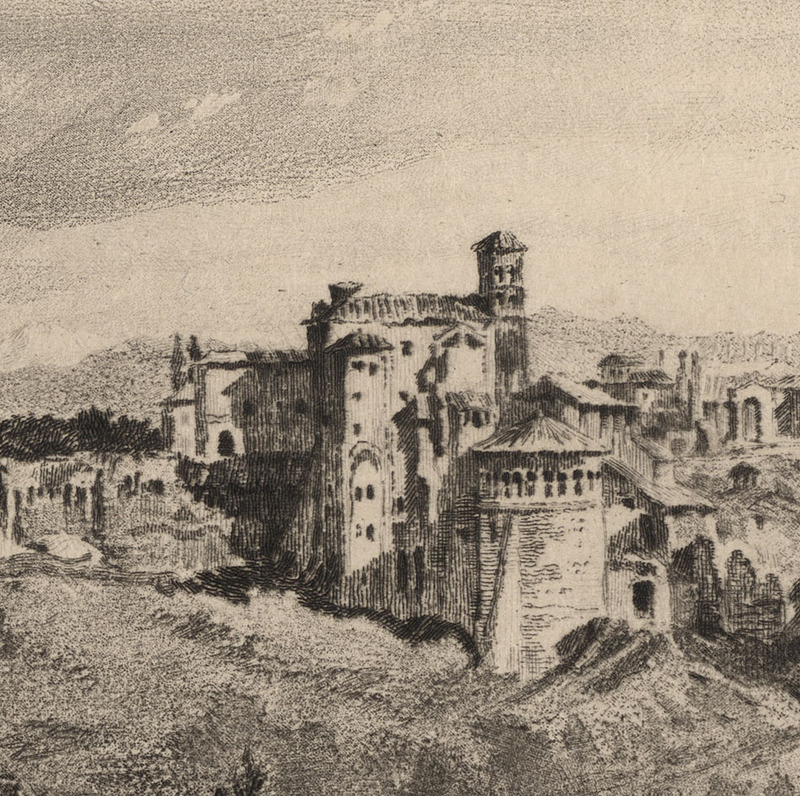 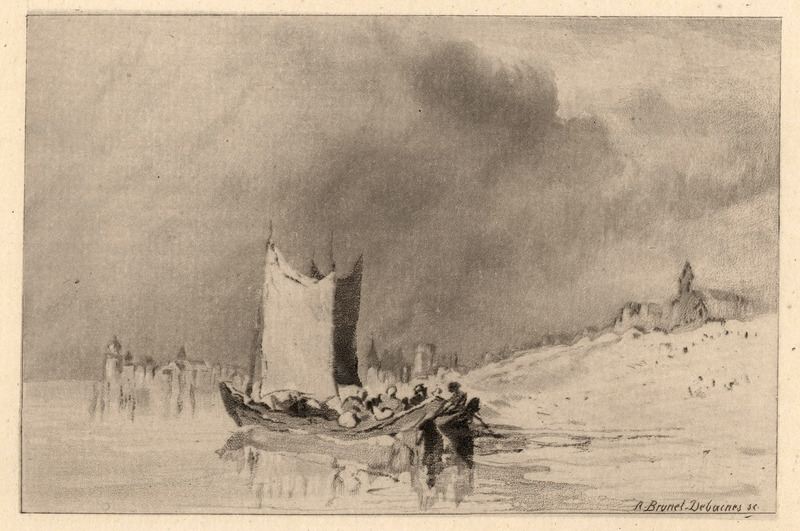 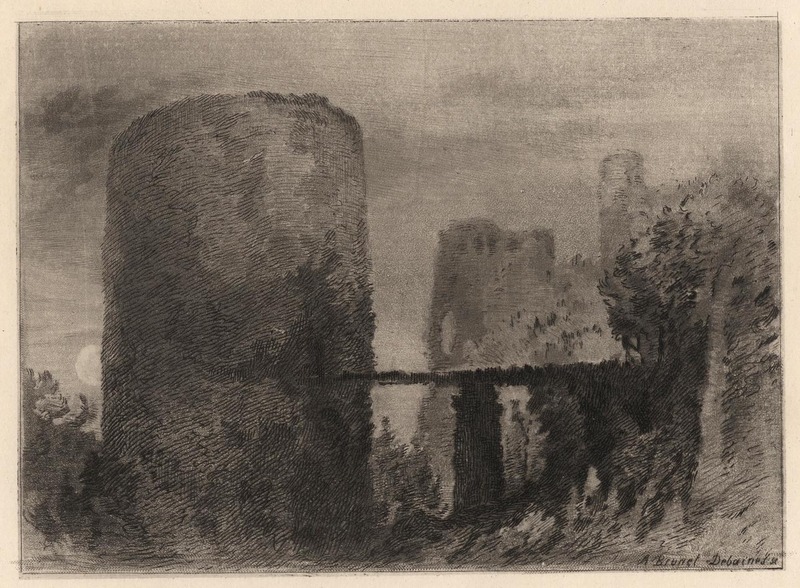 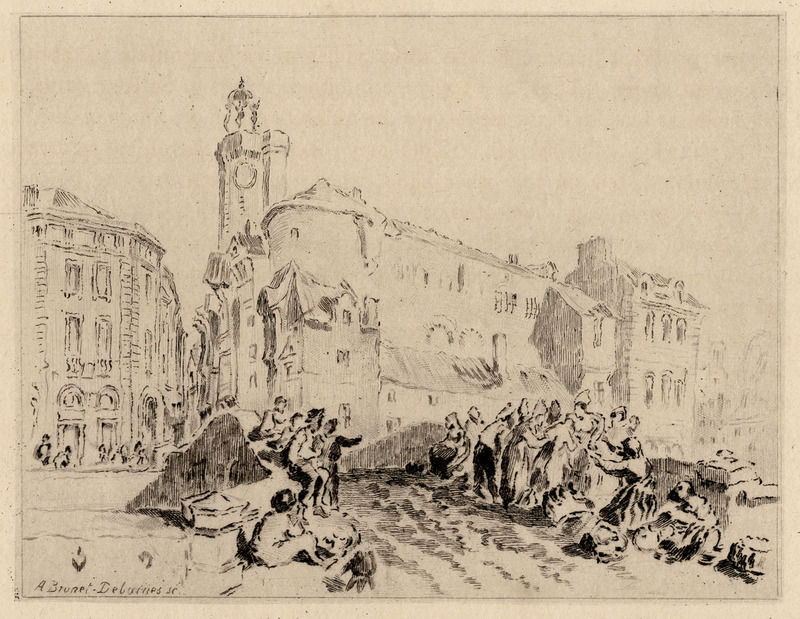 (upper image) "View of the Loire"
I don't know why Hamerton chose to publish this combination of a views—one of the Loire and the other of Rome—but the juxtaposition of the two etchings is difficult to contemplate without seeing complementary ways of looking. 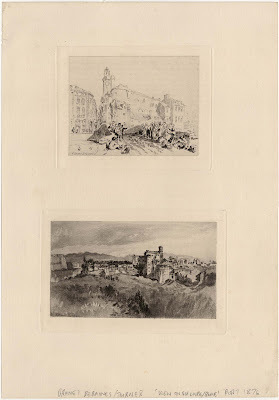 At first glance I see a difference between the light and delicate treatment of the upper image rendered mainly by line with the dark and solid treatment of the lower image rendered mainly by tone. Beyond recognising this critical difference there are much more subtle and fascinating differences. 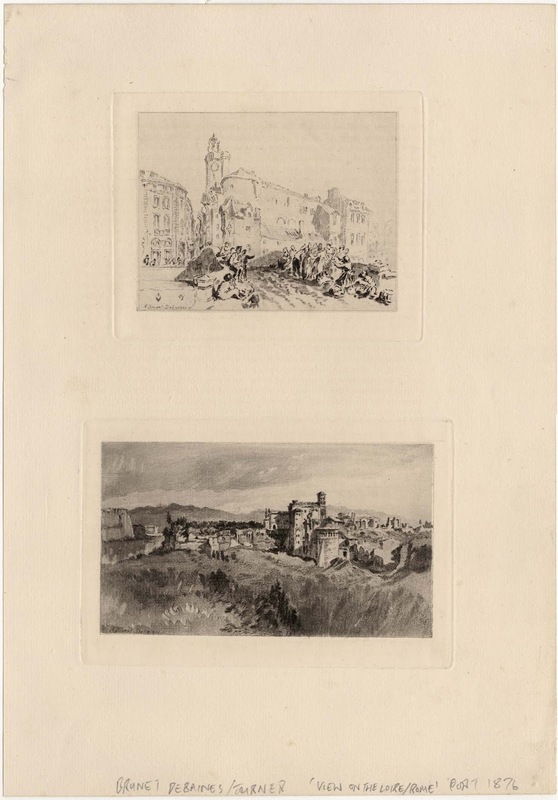 Note, for example, how the composition of the upper image almost invites a viewer into the pictorial depths of the scene while the composition of the lower image sets the viewer at a distance—both visually and psychologically—away from the city in the middle distance.